Kathelijn Fischer has been working at the University Medical Center Utrecht, both as a Paediatric Haematologist and a Clinical Epidemiologist. Dr Fischer finished her medical training in 1988 is a registered paediatrician since 1994. 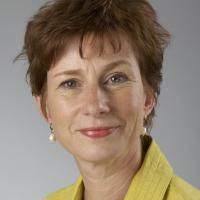 Dr Fischer specialized in paediatric haematology and oncology in Utrecht, the Netherlands. Subsequently, she performed PhD research in haemophilia while training as a clinical epidemiologist. She published her thesis on ‘Treatment strategies in severe haemophilia: in search for the optimal treatment’ in 2001. Dr Fischer supervises four PhD students and served as co-promotor for seven other PhD students in the field of haematology, neurology and gynaecology. Dr Fischer is principal investigator in several international studies on long-term results of haemophilia treatment, and is the epidemiologist for the European Haemophilia Safety Surveillance Study (EUHASS-member of the steering committee) as well as for the European PedNet registry. The specific areas of expertise and interest of dr Fischer include the epidemiology of haemophilia (including use of registries), prophylactic treatment, and outcome assessment in haemophilia care.